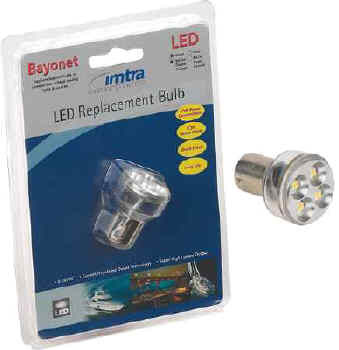 For replacing BA15d (#1142) Double Contact (level side pins) Bayonet bulbs in popular bulkhead reading lamps. Impressive light output and focused beam angle make it ideal for your boat's reading lamps. Reading lamps installed in older boats and RV's typically have automotive style (#1156) bulbs with a single contact on the bottom (aka BA15s).